In 1949 Helge Ingstad flew into Northern Alaska where the Nunamiut people, a caribou-hunting group, resided. Ingstad was the first Westerner to visit the region. After living with the Nunamiut for nine months, such was the admiration for Ingstad that they wanted to name a beautiful mountain in their territory after him. And, in the 50+ years since then the mountain has been known locally as Ingstad Mountain. When Ingstad passed away in 2001 at the age of 101, a petition was made to the U.S. Geological Survey to officially name the mountain after Ingstad. In 2006 Ingstad Mountain officially enters the U.S. Geological Survey maps. 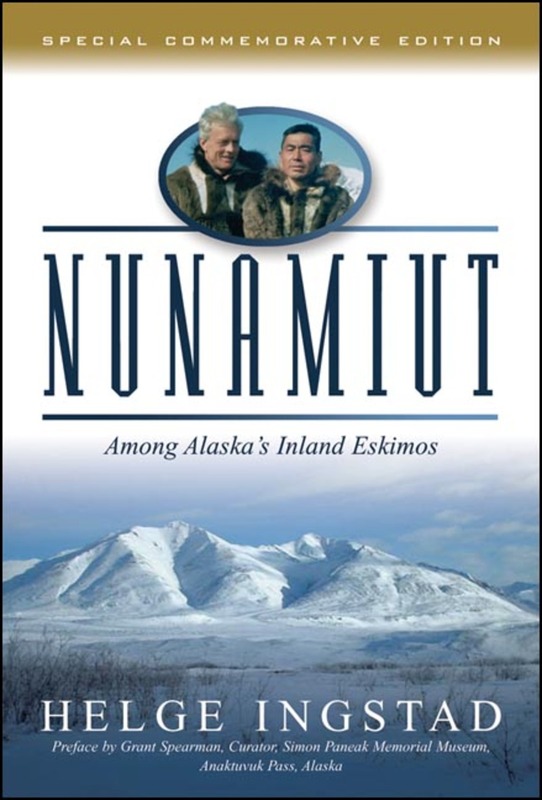 Nunamiut is Ingstad's fascinating account of that nine-month visit with the Nunamiut. He learned their language, recorded their legends and superstitions, and participated in their caribou hunts and fishing expeditions. His personal account is an engrossing and original work. 45 black&white photographs, 21 black&white illustrations, index.